Record WSOP bracelet holder Phil Hellmuth has been nicknamed the “poker brat” because of his emotional attitude at the poker table; some of his more notable boasts are:“If luck weren't involved, I guess I'd win every one," and "I've revolutionized the way to play Texas Hold'em." He also is sometimes referred to as "Hell Mouth", a play on his surname. His antics seem to play well for the TV cameras too, where it seems that the spotlight is never far away from him. He is probably the most visible professional poker player around. Despite his attitude, his accomplishments are amazing. He is the only winner of 14 WSOP gold bracelets. The only other poker players that are close to this accomplishment are 10-time WSOP bracelet winners, Doyle Brunson and Johnny Chan. He says his life goal is to “become the greatest poker player of all time”…and he’s well on his way. He was voted by his peers, in 1996, to be the “best all-around tournament poker player in the world” He has racked up more than 50 tournament wins having won over $21.1 million in prize money where he ranks 8th in the all time money list. If there is any chink in his armor, it would have to be that 12 of his 14 WSOP bracelets came in Texas Hold’em events as apposed Omaha. Born in Madison, Wisconsin, Phil attended college at the University of Wisconsin for three years. After that, he dropped out to play poker full-time. He did not however, receive the support of his father -who holds an MBA, J.D. and a Ph.D. - who at one time equated the idea of becoming a professional poker player to a drug dealer. Since then, Phil has not only racked up an impressive list of poker wins, but has also begun to build an empire consisting of books, instructional videos, cell-phone games, video games and more. Born in 1964, Phil now lives in Palo Alto, California, with his wife, Kathy, and their two kids. He has total live tournament winnings that exceed $21.7 million. Since 1989, he has won more tournaments than anyone else. He has five WPT top-ten finishes. He has 17 WSOP final table finishes. In 2006, took home nearly $1.2 million from WSOP events alone. In 2006, won his 10th WSOP gold bracelet. In 2001, took fifth place in the WSOP Championship Event. In 1989, won the WSOP Championship Main Event. In 2015 he became the only man on earth to hold 14 WSOP gold bracelets. 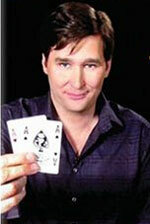 To date, Hellmuth has won over $14 million at the World Series of Poker.